The Backbencher – Why are NUS Pizza Discounts not Considered Promotion of “Cultural Appropriation”? September last year, University of East Anglia student union officials banned sombreros as ‘racist’. Last month, Cambridge University students boycotted an African-themed dinner calling it ‘cultural appropriation’, and recently a Havana Nights evening was dubbed “offensive”. Surely it is good, if after all the difficulty of the past centuries, students are showing a positive interest in Africa, wanting to try South African wine and a Senegalese dish. What puzzles me about this, is that I have always been fascinated by the food, music and dress of other cultures, and thought it was positive of me to show an interest. Whenever I go to a new country, I like to try new foods, to fully embrace myself in the local way of life, and not be the stereotypical Brit who demands an English breakfast while holidaying on a Mediterranean beach. However, apparently this totally inappropriate. I look in my kitchen and there is Chilean wine, “French stick” bread, fruit from Israel, and so on. Is this “cultural appropriation”? Oxford Reference dictionary describes ‘cultural appropriation’ as “the taking over of creative or artistic forms, themes, or practices by one cultural group from another.” However, in all this campaign about “cultural appropriation”, no one seems to have noticed the hypocrisy of the National Union of Students. If it is wrong for British students to have an African themed dinner, why is the NUS offering discounts to the African fast-food chain Nandos? Many people mistake the tasty peri-peri marinaded chicken for being Mexican, though fortunately the Portuguese-African community of Johannesburg have a better sense of humour than far-left student activists. 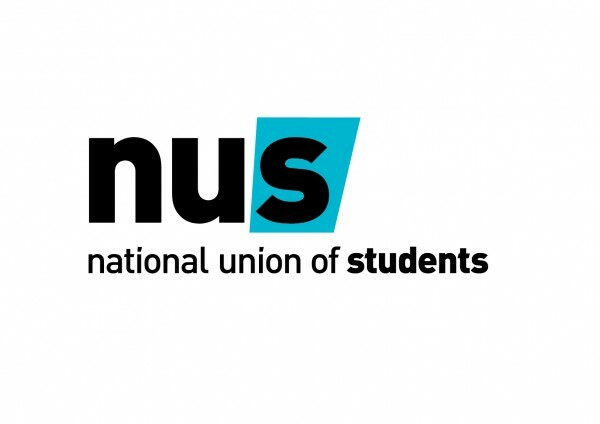 Nonetheless, the NUS is actively encouraging British students, through a strong marketing campaign and discounts to eat African food at Nandos, as well as to order Italian-influenced pizzas from Pizza Express and Dominos. “Cultural appropriation” particularly relates to the majority culture adopting some element of the culture of an ethnic minority, which Italian Britons could be said to be. Let’s consider that regards to the Cambridge dinner, student Alice Davidson feels it would be better if the “initiative had come from members of the African Society Cambridge University themselves”. Therefore, applying this point, did the Italian embassy invite the NUS to offer us Pizza Express discounts? Did the Italian government approve the authenticity of the crappy American imitation pizza known as Dominos? Currently, I am in Paddington station buying a pasty and wondering where is the Cornish Consulate that I may phone for approval of the authenticity and non-offensiveness this representation of Cornish heritage. Meanwhile, as some far-left student activists sips on an American Starbucks coffee made with Colombian beans, chewing on their fake offensive imitation of an Italian pizza, typing up the new “cultural appropriation” guidelines on their Korean Samsung phone, they have met the peak of hypocrisy. If this embracing of another culture is inappropriate, do they object to a lift in daddy’s German sports car, or a what about the fact their student flat furniture is from Scandinavian store IKEA? Particularly “cultural appropriation” is controversial when there are according to Oxford reference “connotations of exploitation and dominance” – but so many far-left activists I have met adore American fast-food, which surely by their logic means they show solidarity with the vile history of the States including the genocide of native Americans? Cambridge students who were upset with the African-themed dinner, were offended by it being held in a hall “filled with portraits of white people” – however, these halls are used for many events and the portraits are not necessarily related to most of the events there held. However, what has colour got to do with being African? If anyone is being racist, it is the Cambridge African Society, because 6 million Africans are white, and the African continent is incredibly diverse. I find most apt the words of Trevor Phillips, when he said that students are taking a “backward step” by focusing on “stupid, trivial things”. There are so many real genuine cases in the world of discrimination that need to be highlighted, important issues that need to be struggled for and are belittled by people protesting about British students showing a positive interest in African food and wine. Luke Nash-Jones, Gladstonian classic liberal activist and computer science student, National Chairman of Young Liberty, President of Universities for Britain, highest vote 2015/16 Birkbeck SU elections, President of Birkbeck Conservative Association, Deputy Chairman Membership of Bramley Conservatives. Vote Leave activist.